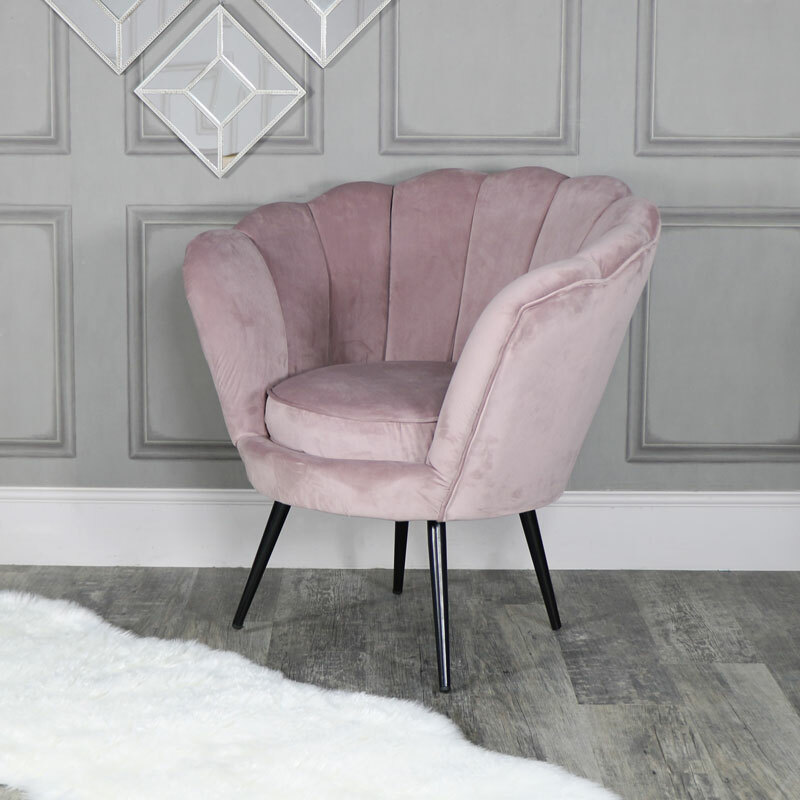 This stunning occasional chair will add some glamorous style to your living room or bedroom. 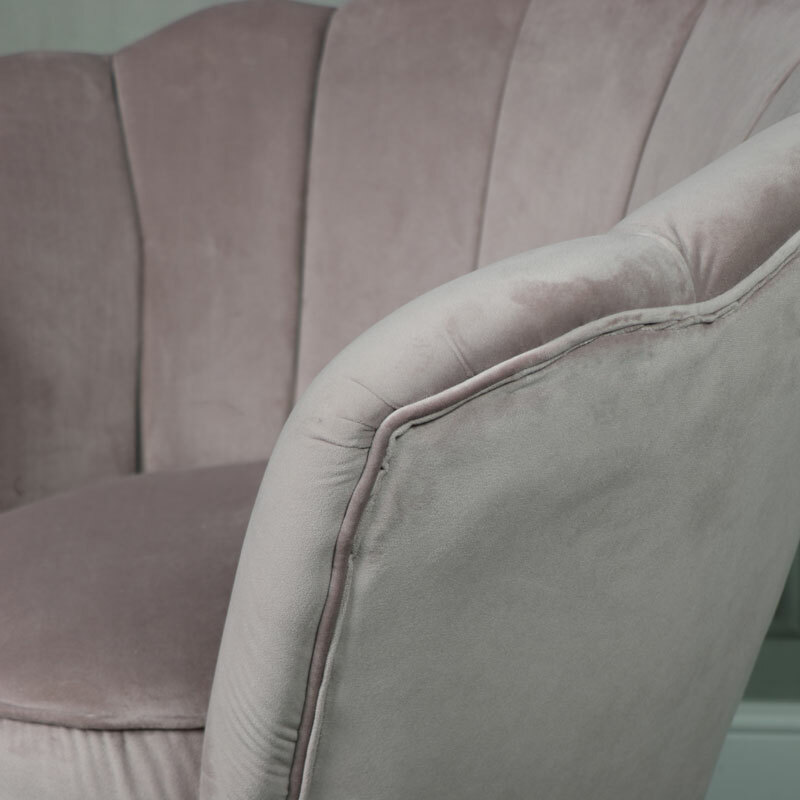 Scalloped style back and comfy cushioned seat, all upholstered in a sumptuous dusky pink velvet. 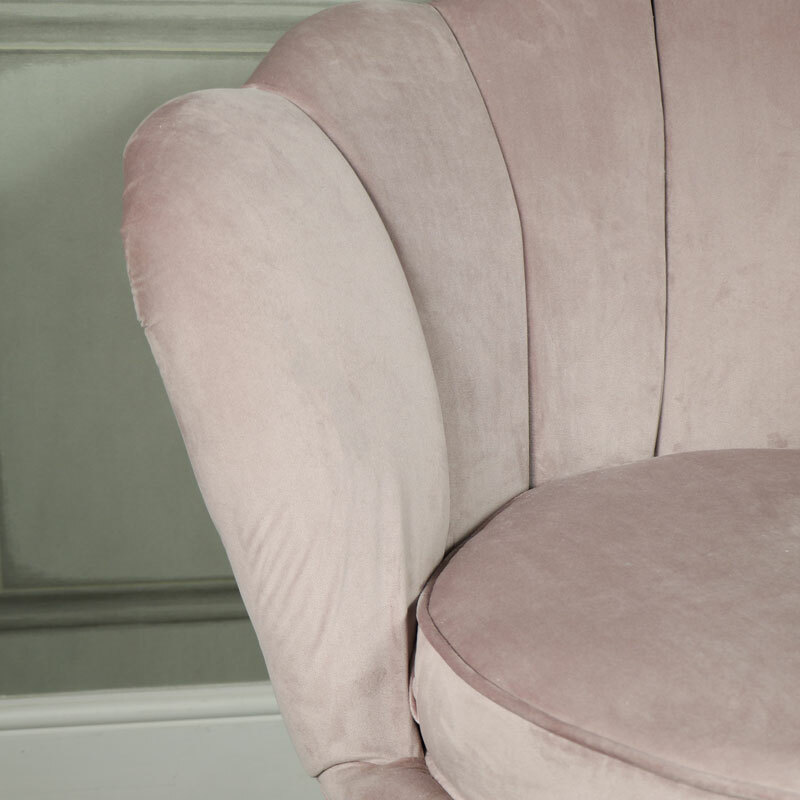 With hints of art deco styling, this chair will look fabuolous in a girly boudoir or bedroom. 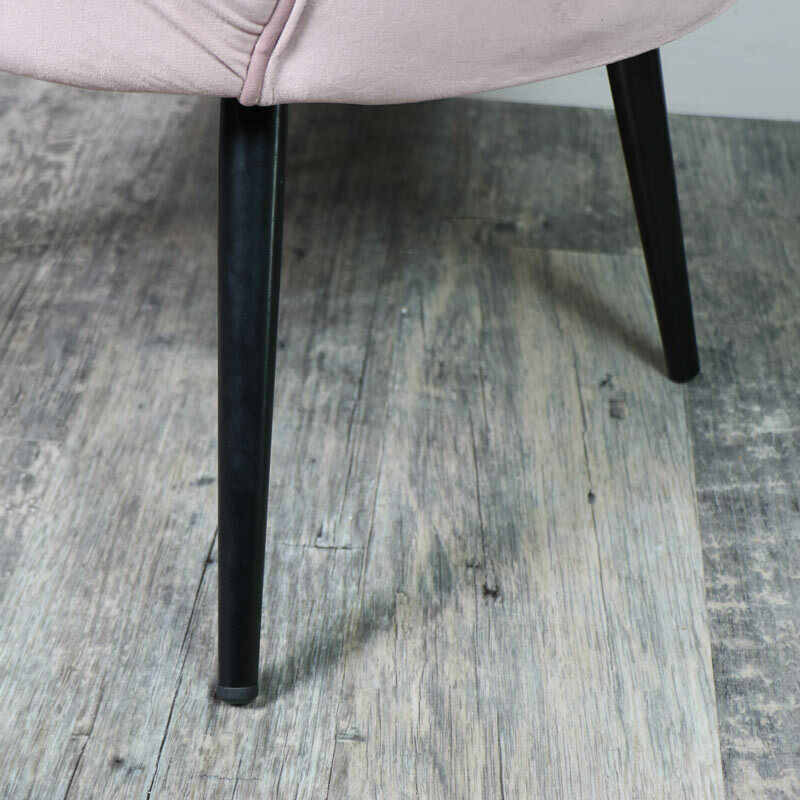 Just what you need for adding some comfy seating to your living room or bedroom. Beautifully elegant furniture that will fit in seamlessly with many interiors. 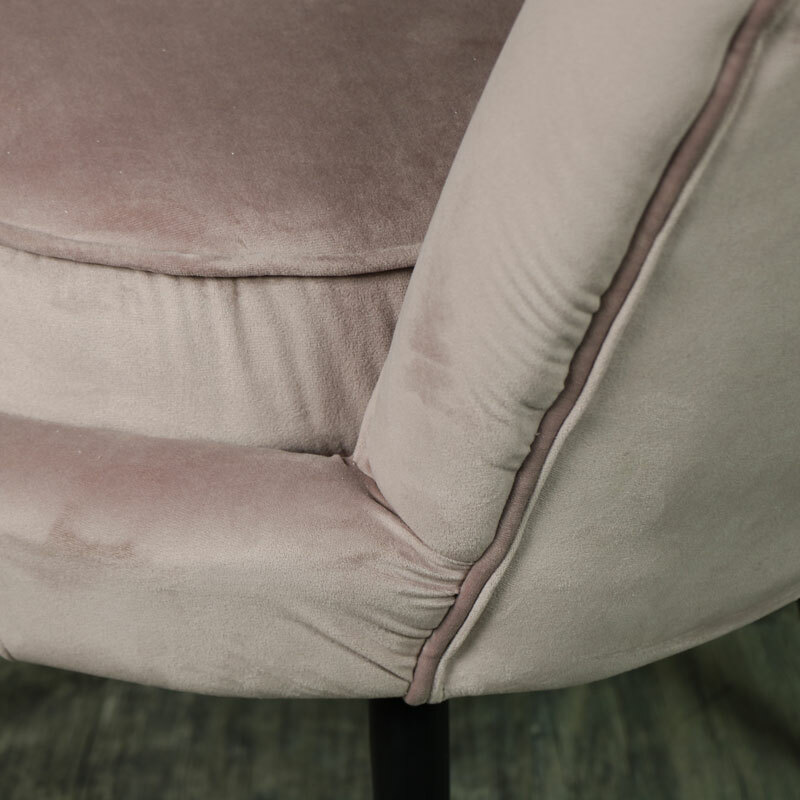 Upholstered in a luxurious dusky pink velvet colour with grey metal legs, with a seat height of 46cm. Minimal assembly required with just the legs to attach which is quick and easy to do.